How To Reduce Ill Effects Of Mars ? How To Reduce Ill Effects Of Mars, Natural remedies to get rid of malefic/inauspicious Mangal impacts, Astrology Remedies to make Mars strong. Before starting this article let me clear a very important concept related to MALEFIC Mars AND WEAK Mars. Malefic Mars means when Mars sits with enemy zodiac then it becomes malefic but weak Mars may be positive or negative. In this article we are going to see only remedies of malefic Mars. There are different solutions of malefic and weak Mars so don't be confused. Mars plays very important role in our life and as per vedic astrology Mars represent younger blood, brother, anger, power, strength, etc. If Mars or Mangal is in good state in horoscope/kundli/birth chart then person easily get good powerful body and mind, energy, attraction power etc. whereas inauspicious Mars generate many problems in life. Malefic Mars may create blood pressure problems. It may makes the person short tempered. Unknown fear is also possible in the mind of person who have debilitated or malefic Mars. Fight with life partner without having genuine reason is also seen. Suddenly depression or negativity arise in mind due to malefic mars. Negative mars push the person in wrong network which leads to defame. Delay in marriage is also possible due to malefic mangal Dosha. Breakup in love life happen again and again. Person may also suffer with anemia. Accidents in life is possible due to malefic mars. Problems in life depend upon in which house Mars is sitting and what is the state of it. If life is affected by Mars badly and no ways are coming to get rid of it then it is necessary to take the help of astrology and adopt some good ways under guidance of astrologer. Read about Effect of mangal as per 12 houses of kundli. Mangal shanti pooja is a good way to reduce ill effects of mars. If person is mangalik then before marriage it is good to perform Kumb vivah. Do keep fast on tuesday and distribute sweets in temple. Do keep a mangal yantra in a copper vessel and then do the abhishek of lord shiva with this vessel by keeping sweet water in it specially on Tuesday. 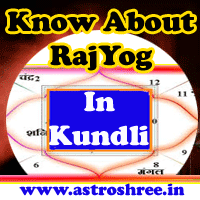 Don't wear red cloths or Coral if mars is problematic in horoscope/birth chart or kundli. Do take care of your younger brother. Reciting hanuman chalisa is also good. So don't worry if Mars is not supporting you, don't worry if Mangal is malefic in kundli, contact astrologer for proper analysis and remedies. How To Reduce Ill Effects Of Mars,अशुभ मंगल के उपाय,Natural remedies to get rid of malefic/inauspicious Mangal impacts, Astrology Remedies to make Mars strong.